IBS Las Vegas boasts a diverse and exciting conference program taught by the best educators in the industry. Past speakers include, Nick Arrojo, Lisa Yamasaki, Martin Parsons, Lauren Moser, DJ Muldoon, Oscar Bond, Ted Gibson and Aaron Johnson. More than 100 classes are included FREE with your exhibit hall ticket! Hands-on Workshops and Summits provide a more tactile educational experience for an additional fee, while Main Stage performances feature some of the hottest artists in the industry. Click here to take a look at the incredible 2019 conference program! 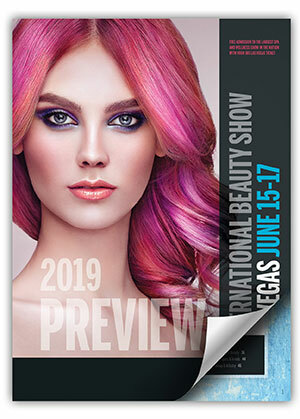 IBS Las Vegas offers a unique way for beauty professionals to get first-hand education from top industry leaders. Hands-on workshops are an amazing opportunity to improve your skills and boost your bottom line! Click here to check out our hands-on workshops. Register here for one (or more!) of our hands-on workshops & summits. FREE with your paid exhibit hall admission. Watch the beauty industry's most elite hairdressers from all across the globe as they showcase their work on the Mane Stage. On Sunday, June 16, the Main Stage will host exciting barber competitions and performances by men's grooming heavy-hitters! More information coming soon! Learn how to build your business and take your career to new heights! These informative classes provide a more personal look into practices that have made these beauty gurus boom in the industry. *Summits/Business Classes available at an additional fee. Fee includes one day exhibit hall ticket. These in-depth workshops cover topics from business building to technique-driven treatments that will help increase your bottom line. *Hands-on workshops available at an additional fee. Fee includes one day exhibit hall ticket. FREE with your paid exhibit hall admission. Classes are crafted for men's grooming professionals and barbers interested in enhancing their techniques and learning about the revolution of men's grooming. VIEW THE 2019 OFFICIAL SHOW PREVIEW!